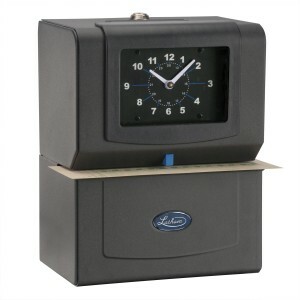 Ideal for payroll time or job costing, the 4000’s rugged design can withstand high volume use and harsh environments. Featuring automatic activation, the electric coil print mechanism allows for simple one-hand operation, and instant registrations. 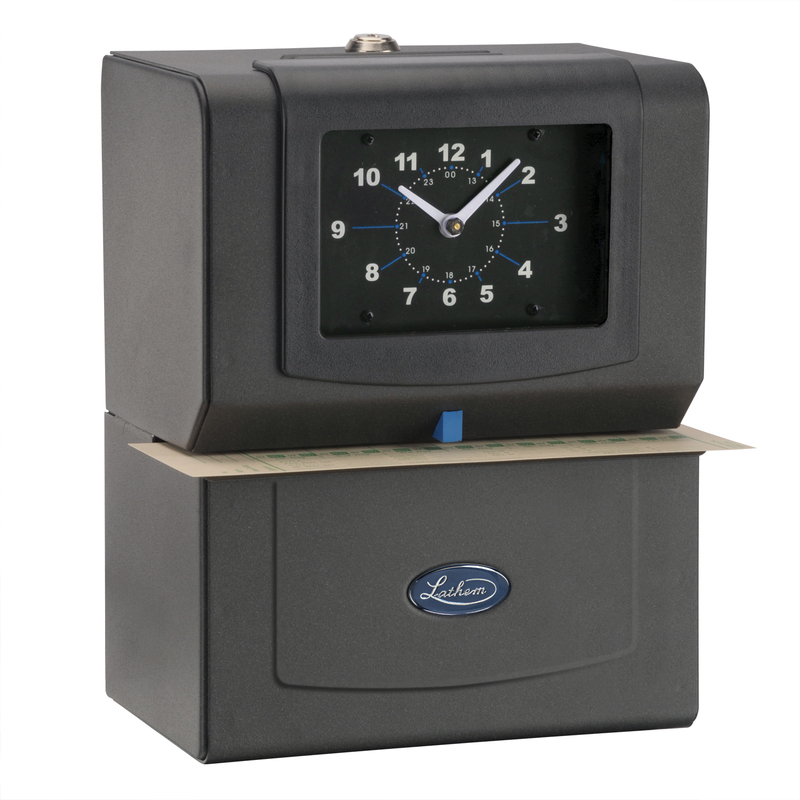 With a large, easy to read analog clock face, steel case and key lock, the 4000 can be mounted securely to a wall or tabletop. Its two-color ribbon self-reverses at the end of the spool for longer life, and can easily be changed. Works with all standard time cards.